EXCLUSIVE AT NET-A-PORTER.COM. After spending a decade working in the children’s sleepwear industry, Three J NYC's founder Alexandria McLeod knows the joy that comes with a good pair of pajamas. 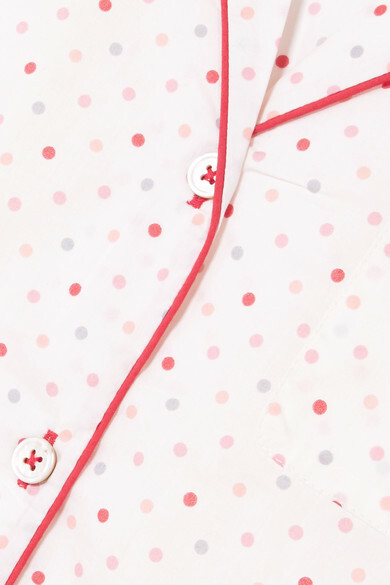 Cut from lightweight cotton-voile, this ‘Poppy’ set is decorated with polka-dots and defined with piping along the collar, buttons and legs. The waistband is elasticated for a flexible fit.